Recently opened in April 2018 our Petersfield store is situated in Petersfield town centre near to the all major shops and railway station. We carry a wide range of ink and toner cartridges instore – if by some chance we don’t have what you are looking for we will request it from our online store and get it delivered to you the next day. 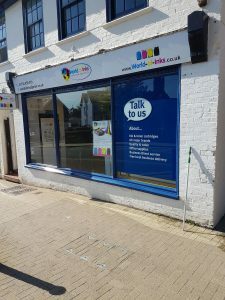 At this store you will encounter a friendly “no pressure” atmosphere and will be attended to by experienced staff who can give you all the advice and help you need. There is easy parking nearby and of course we take all major credit and debit cards. If you are a local Petersfield business we would love to help you with all your ink and toner cartridges, from smaller office printers to the largest of industrial models. We are very price competitive and we guarantee you a great service. If you would like a monthly business credit account facility with our Petersfield store please let us know by completing the contact form below. We send to anywhere in the UK free of charge. On the subject of recycling and your own personal security we are piloting a scheme at our Petersfield branch that we believe will be of great interest to our customers. 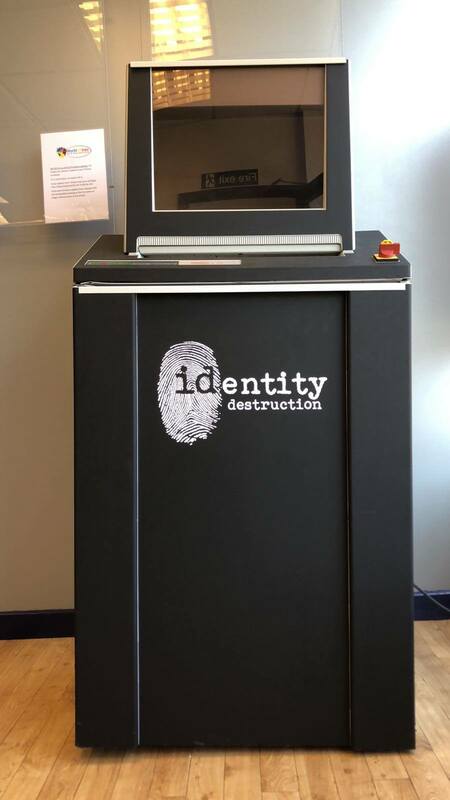 World of Inks have teamed up with Identity Destruction Ltd (Based in Chichester) to offer shredding in the Petersfield Store, You are able to bring your old confidential paperwork into us in your own sacks or boxes and we weigh the paper on our digital scales. Our industrial shredders turn your old paperwork into tiny, confetti-sized shreds of paper for your piece of mind. It only costs £12 for up to 20 kilos – pop in and try it! 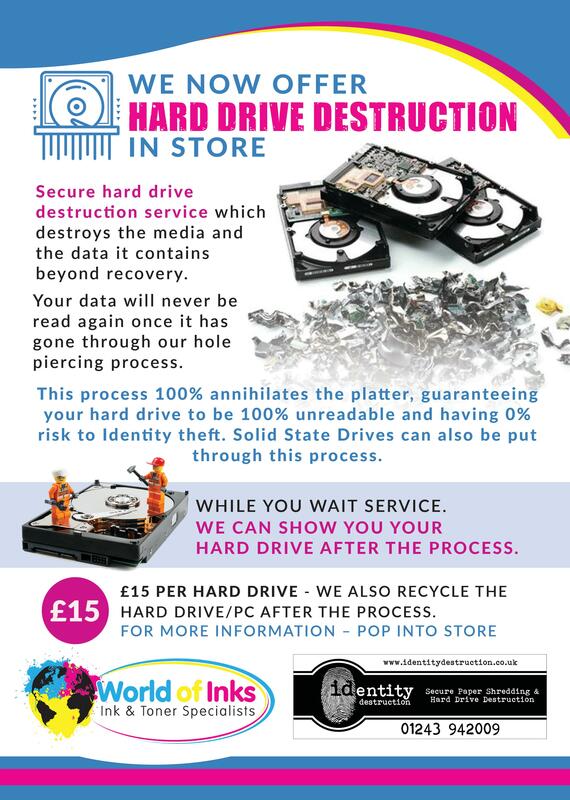 We also offer Hard Drive destruction. 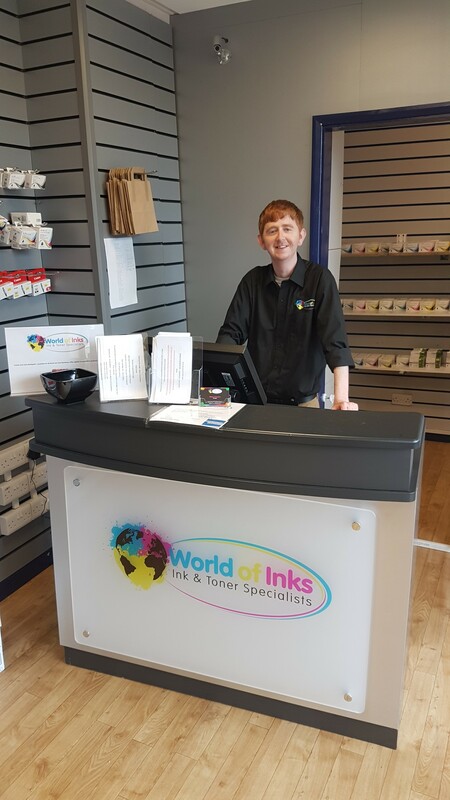 “I’ve been delighted to find a consistently high standard of service at World of Inks. Richard and William offer excellent standards of customer care, the products are good quality, good value and always arrive on time when ordered. I am happy to recommend this company and wish them every success in their new venture.